PBX (Private Branch Exchange) Phone Systems has been the representations of a private telephone network, which works brilliantly within the premises of a company. In fact, PBX Phone Systems in today’s scenario have completely evolved itself in bringing about new variations which could seamlessly connect the entire premises with meticulous voice and data communications all in one integrated pack. PBX systems have previously been the analogue PBX or the traditional PBX which could barely support the voice communications to the entire premises. These PABX telephone systems are distributed across the premises with a central control panel which controls the internal voice communications with a specified PBX number. Anecdote: The control panel of the PBX systems has been completely restricted towards the external communications and the external communications was bestowed to the senior management in the company. With the emerging technology, the analogue mode of PBX phone system has undergone a massive sea change and currently evolved with the digitally enabled PBX systems which brings with it the seamless communications over the voice and the data across the premises. The internet protocol (IP) which was earlier being restricted to the complex network system or simply the local area network (LAN) has been completely roped in to the phone system thereby making the analogue phone system to become completely obsolete. It has been found to be very cost effective for small businesses as it could provide the low-cost terminal connectivity. 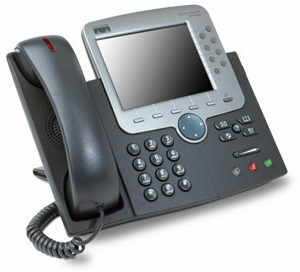 The efficacy of these digital PBX has always helped the organization to have multiple terminal connectivity with relative ease. The VOIP technology has always brought to reduce significant cost of the communications, as the entire phone uses the IP to communicate amongst the peers. In the digitally evolved market space, the cloud based PBX has completely transitioned itself as the most advanced system of communications which happens through internet protocol (IP). These communication systems have completely metamorphosed itself in comparison to the traditional phone system being deployed at the business premises. These cloud based phone systems have been centrally managed from one location and has been proven to enhance the communication systems for different premises. In the event that you are looking forward for the PBX systems in place, please approach us at VRS Tech and call us on +971567029840. Please visit our official website at www.vrstech.com for more information.